I have been a very bad blogger throughout July. I don’t know if it’s because the weather is making me lazy, or if it’s my crazy life schedule, but I couldn’t seem to sit down for very long without finding something else to do instead. I did manage to celebrate my 7th wedding anniversary with a bang, so I think I’m doing something right. I still managed to read a number of books, so here’s a few mini-reviews with the hope that August turns out to be a better blogging month. 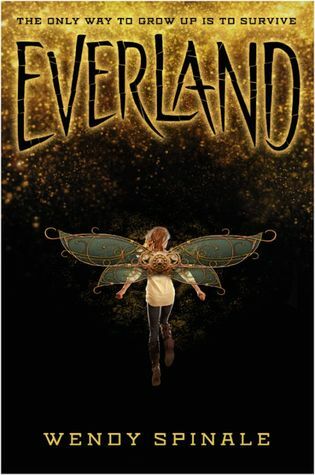 Everland by Wendy Spinale – I got this book in the May “Steampunk” Owlcrate, which I ordered specifically because I adore all things steampunk. Sadly, I wasn’t thrilled with this retelling of the Peter Pan story. The characters fell a bit flat for me. The only character that I really liked was Bella (Tinkerbell) because she felt the most real to me. Just the idea that a viral outbreak would suddenly stop all communications from the outside seems farfetched to me. Since people obviously survived for the last year within the contamination zone, it’s highly unlikely that the rest of the world would completely cut them off from even the basics of radio contact. 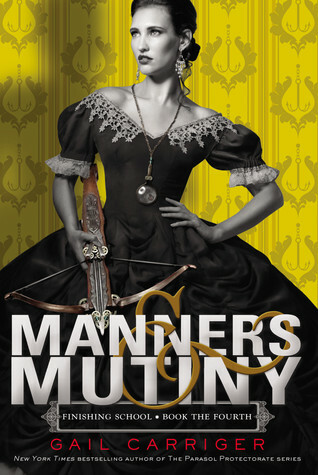 Waistcoats & Weaponry (Finishing School, #3) and Manners & Mutiny (Finishing School, #4) by Gail Carriger- I really like this series… maybe even better than the other series in this universe that Gail Carriger has created. There’s a very diverse cast and the story moves at a really good pace that doesn’t spend quite so much time focusing on hats and ball gowns. Manners and societal rules are still mentioned, but with less emphasis on being so proper all of the time. I’m going to miss this crazy cast of characters. I hope that the author decides to give us an update on some of them in her other series. 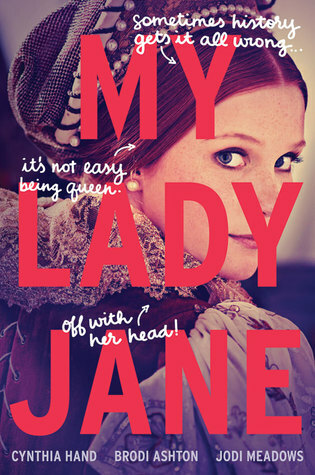 My Lady Jane by Cynthia Hand- This book came with the June “Royalty” Owlcrate, and I’m super happy it did. I loved this book, with it’s silly reimagining of the Jane Grey story. There was just enough real history to make this story familiar, but all the magical changes definitely turned it into it’s own tale. My only complaint was that the last few chapters had a few too many interjections by the authors, which stole away from the flow of the story. 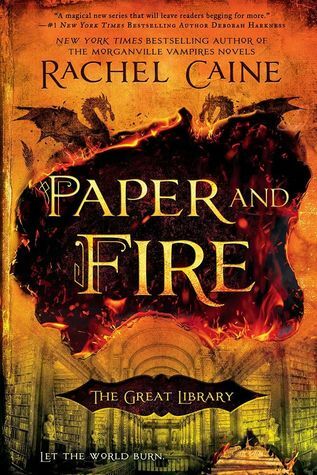 Paper and Fire (The Great Library, #2) by Rachel Caine – I was expecting a bit more from this book. Ink and Bone had good pacing while the characters were working to earn a place in The Library. This book was all about planning… which didn’t make for very many action packed moments. It took most of the book for story to progress enough to become really interesting, and of course it ended on a cliffhanger because “second book syndrome”. 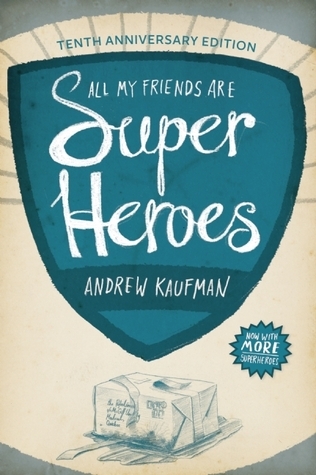 All My Friends Are Superheroes by Andrew Kaufman- I honestly have no idea where the idea to read this book came from but it was a cute novella that kept me entertained while on the bus. It felt like the book was really just a way for the author to collect all the silly superhero ideas he had into one place, because most of the book is taken up with single paragraph descriptions of how they discovered their powers. Since it’s a comedy, most of the powers are actually just randomly intense things that happened to the people that made them think they have a power. Very few of the “superheros” actually had something special about them. 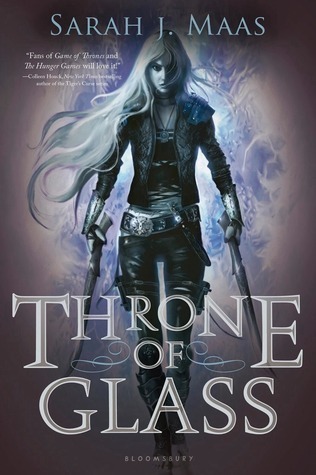 Throne of Glass (Throne of Glass, #1) by Sarah J. Maas – Why did I never read this series before? I really really liked ACOTAR, so I had to take a chance on this series. I am greatly enjoying the main character, who is a seriously intense assassin with a love of clothing and books. She has literally ALL the skills, and can take down anyone who crosses her path. You would think that being stuck in a mine for the past year would have dulled her skills a little, but she still manages to be amazing at everything because losing is not an option. Even the side characters in this series are interesting. I can’t wait to see what happens next! 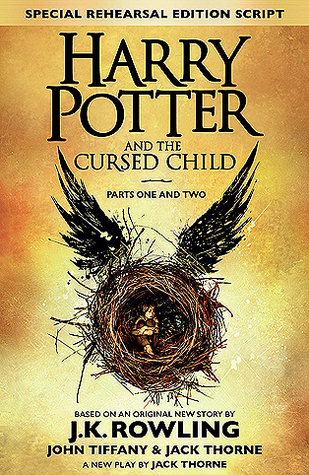 Harry Potter and the Cursed Child (Harry Potter, #8) by John Tiffany, Jack Thorne, and J.K. Rowling – Of course I was going to read this play! I mean, it’s the next Harry Potter story… even if it isn’t a novel. It took me a few scenes to get into the story, but I soon forgot that I was reading a script and started to get into it. The stage directions are very sparse and leave a lot to the imagination, but are still evocative of the whole Harry Potter genre. I agree that it felt more like I was reading HP fanfiction than a true JK Rowling story, but of course, that is because she only provided the source material and John Tiffany did the majority of the writing. Anyway, I still loved it, and I’ve been selling it like crazy since Sunday. So that’s it… what did you read in July? great list! I had a super bad slump in July, hoping that August proves to be better! 7 books you read is hardly slump in my opinions hehe Happy 7th Anniversary! Haha, compared to previous months it felt like I barely read anything. And, thanks!